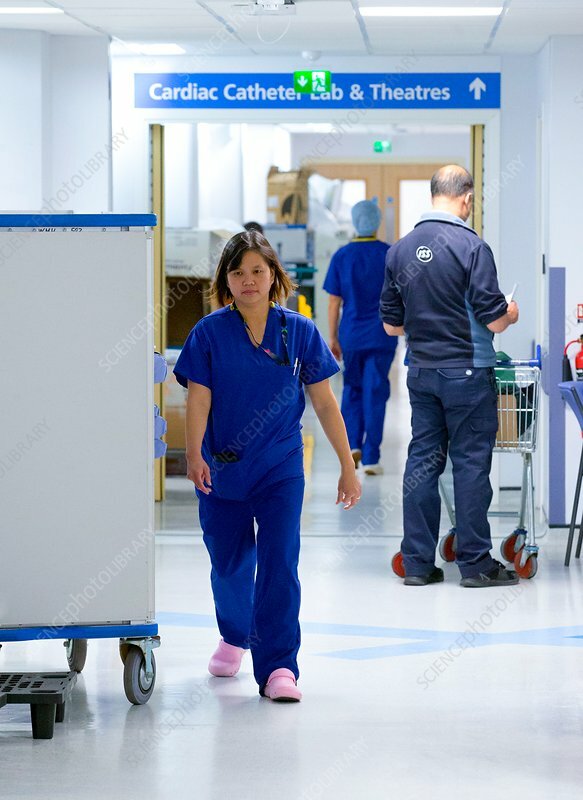 Staff member walking in a hospital corridor. This area of the hospital is used for cardiac surgery. Photographed in the UK.